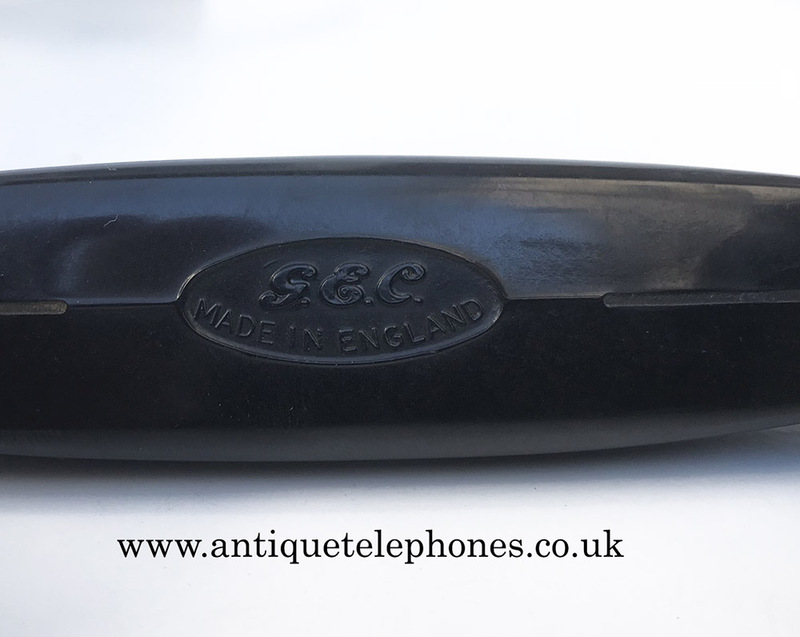 << Back GEC 1000 series. 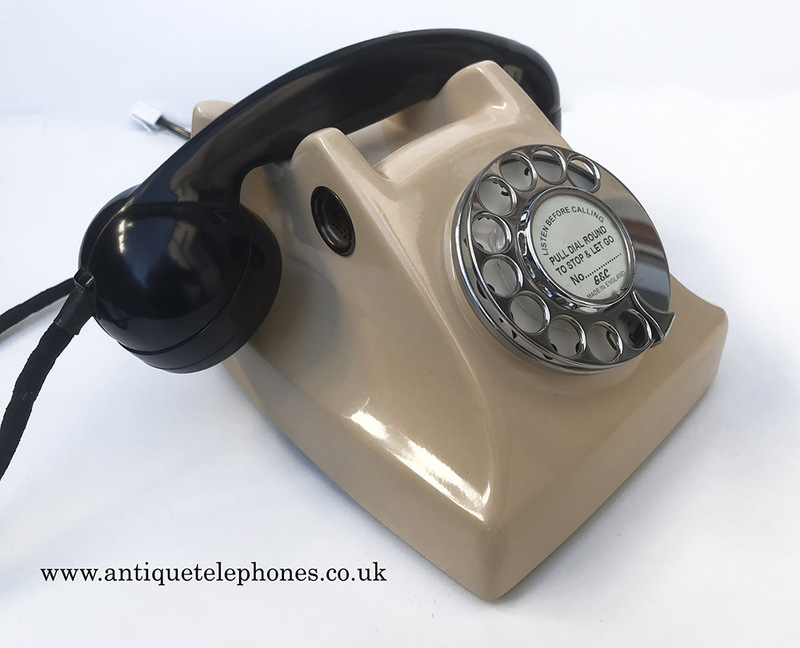 Rare two tone colour model. Nice unusual model made by GEC. Had this one in storage for over 15 years. Fitted with a pilse to tone unit. Stripped down and rebuilt after each part has been cleaned and polished. Nice unusual colour combination model. 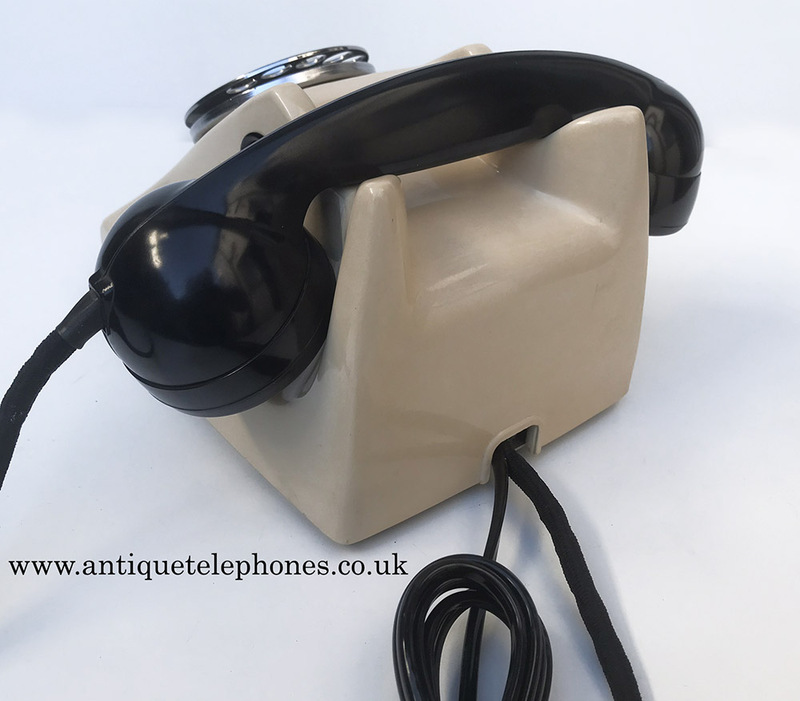 It retains its original handset cord and has been fitted with a very best quality D shaped plastic line in made by me. Also has an electronic microphone to bring the speech quality up to modern standards. 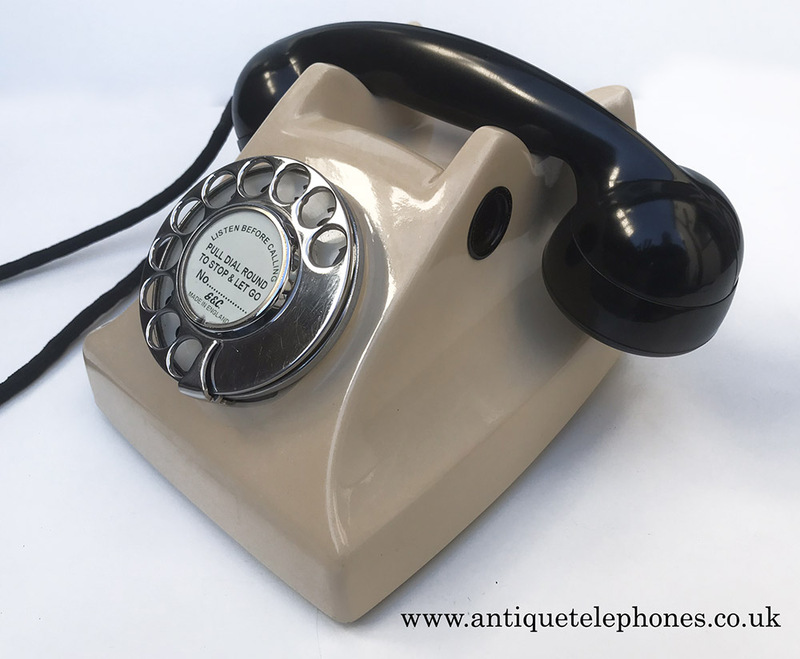 It has a genuine GPO No12 dial with figure on dial face and stainless steel finger wheel. Fully working to to plug in and go. 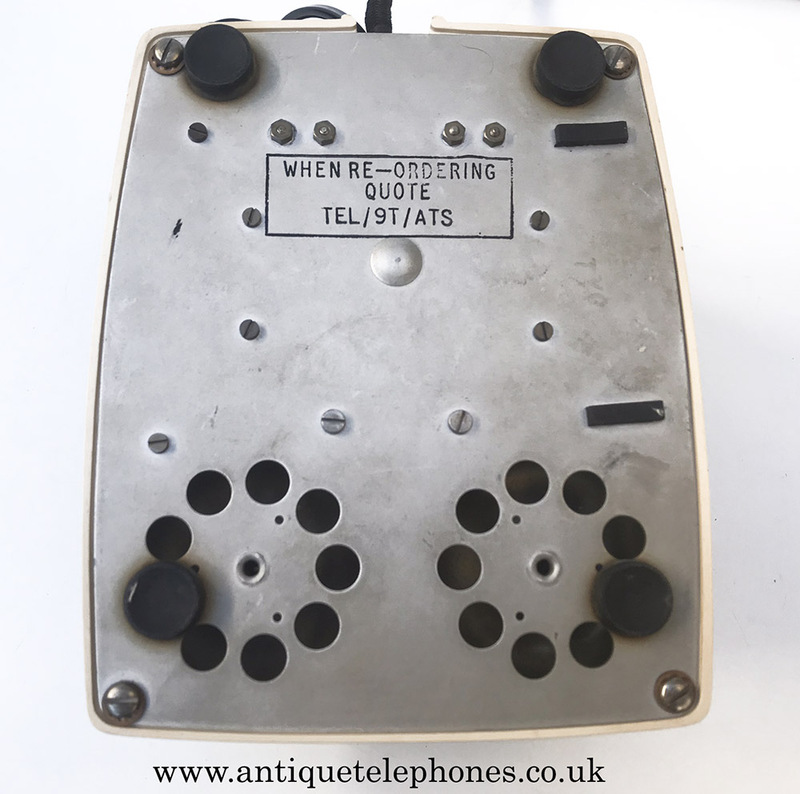 I would recommend using with a BT telephone line as to change to pulse to tone will need the internals modified from original. Happy to fit one at £40 if you want one. 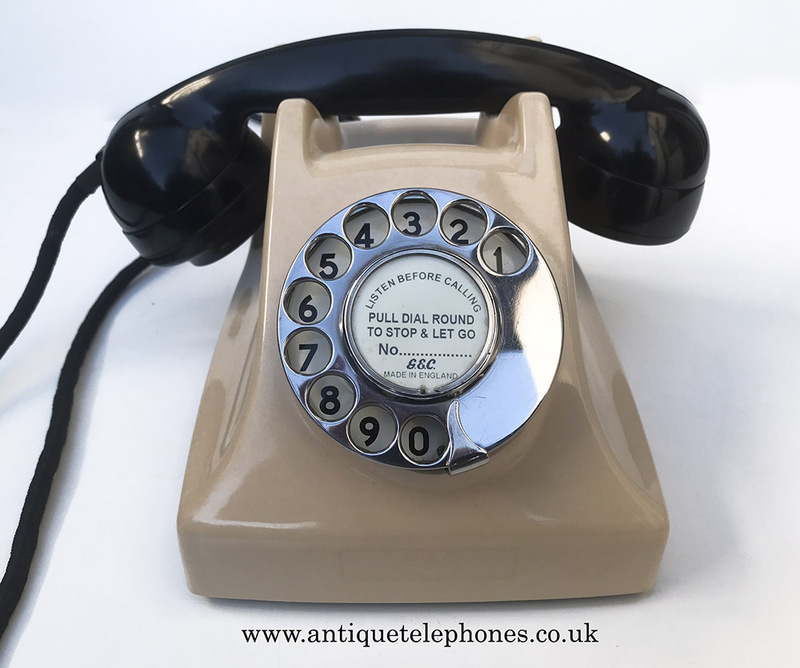 I can fit GPO specification dial label with your information at no extra charge. The colour has changed slightly over the years from white to a biscuit colour.